Hartford Financial Services Group, is encouraging transportation companies to use temperature sensors on pallets and cases of perishable products. delivering food from retail stores and restaurants to consumers. Food home delivery is an exploding market with both retail and restaurant chains establishing systems designed to provide consumers with convenience service solutions. Along with this new demand, it can be expected that enforcement of “last mile” food safety regulations may fall on city, county or state agencies but that the industry has the primary responsibility to prevent food safety outbreaks. While consumers may hold the brand accountable for food safety failures, delivery companies and drivers share in product and process liability. Whether the driver is subcontracted or an employee, the restaurant or retail outlet is considered responsible for delivery food safety. This basic driver training will help protect company brands against potential lawsuits and insurance costs. The training is based on the FDA Rules on the Sanitary Transportation of Human and Animal Foods and industry practices. The training takes one hour, is available on PCs, tablets or cell phones. Basic transportation food safety concepts, problems and solutions are covered. Training certificates are issued. Driver food safety training is available at the following link. Training is available with and without competency exams. This 3 1/2 Hour, 3-Session Course and Certification (no exam). Call 808 469 0046 for group discount pricing. We know that it is near to impossible to get drivers together for training. We offer ninety minute certificated training for drivers. This training excludes the issues that are required in our comprehensive 3 hour training session. 1. Drivers may register at the link below. 2. You may choose to proctor the training at your sites in conference rooms or training rooms, we provide the training certificates for each driver you certify have gone through the training. For companies requiring that trainees pass competency exams, the price for the three module course is $70 per trainee. 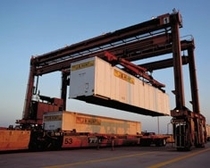 Competency exams are recommended for transportation operations managers and supervisors. An exam is required at the end of each module. Trainees must achieve a minimum score of 60% on all three module tests to earn a competency certificate. This training is not “maybe” training but is REQUIRED for all personnel engaged in transportation operations upon hiring and as needed thereafter. This required training is now offered by the Sanitary Cold Chain and is available as webinars or in download packages for use with your employees. The new law was published on April 6, 1016, which mean there is little time left for perishable food carrier operations to provide this required, certificated training to all personnel. Our 2-day management training has been conducted in a number of major US cities with railroad, processor, carrier and packer attendees. The training focuses on providing managers with compliance training certificates and is designed to lead them through the planning and implementation processes. The training is led by Dr. John Ryan, author of "Guide to Food Safety and Quality During Transportation 2nd Edition (see below). 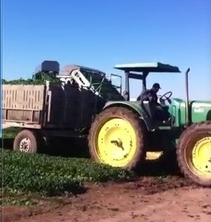 Check out our FSMA Transportation Manager Container Identification (CID) solution! A complete temperature, location, sanitation, maintenance and reporting system for food carrying shipping containers and truck trailers. The system maintains complete compliance data for individual interstate, intrastate and international containers and truck trailers. All data collected is recorded by time, date and location. Driver enabled and controlled data entry at the touch of a finger on any Android device. Each driver will receive a free cell phone app to collect all data. Annual subscription includes individual trailer account with full reporting and data storage. Call 808 469-0046 to register or download the complete User Manual by clicking the link below. The 2nd revision of our book, published by Elsevier Press, is updated to cover the FDA rules on the sanitary transportation of human and animal foods. USDA guidance information, standards and certification, and food safety and quality planning procedures to establish a foundation for transportation system prevention, implementation, standardisation, measurement and improvement. Sound international guidance for carriers, shippers and receivers. 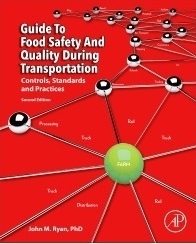 Guide to Food Safety and Quality During Transportation provides a sound foundation for the improvement of the transportation sector responsible for the movement of food. While food safety agencies have been focused on producer, processor, retail, and restaurant food safety, the industry that moves the food has been largely overlooked. Ensuring trucks and containers are properly cleaned and disinfected, proper maintenance of refrigeration temperatures during transport, and avoiding paperwork delays are all areas of concern. Lack of government oversight has resulted in multiple, non-standardized approaches to food safety that are inspection-dependent,” the publisher says. The book is written for those involved in ensuring the safe transport of perishable food, including supply chain management, food safety management and quality management personnel. 5. Ask us for a free copy of our management, preventive control, temperature/traceability, sanitation and training standards. Send an email to training@sanitarycoldchain.com and put "standards request" in the subject line. The Deadline for Full Compliance is April 6, 2017 for many companies! 7. The April 6, 2017 compliance deadline is in your rear view mirror.